BODYCOMBAT™ is a high-energy martial arts-inspired workout that is totally non-contact. Punch and kick your way to fitness and burn up to 740 calories* in a class. No experience needed. Learn moves from Karate, Taekwondo, Boxing, Muay Thai, Capoeira and Kung Fu. Release stress, have a blast and feel like a champ. Bring your best fighter attitude and leave inhibitions at the door. 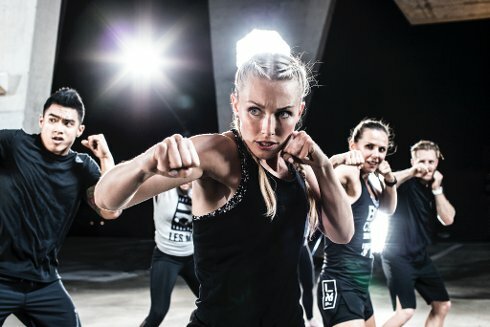 Experience the driving music and powerful role model instructors which make BODY COMBAT the world's most popular martial arts group fitness class.